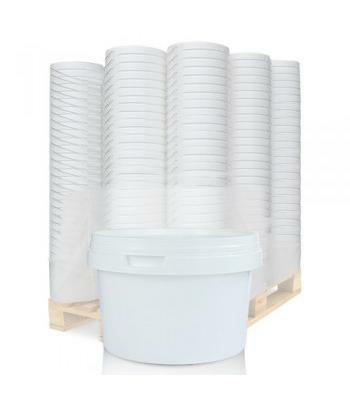 These plastic buckets have been chosen for their high quality and suitability for food products. All of the buckets are manufactured from food grade, opaque, smooth white polypropylene (PP) plastic and they come with tamper evident press on lids as standard. The tamper evident lids provide an airtight, secure seal, which helps in the prevention of contamination, from the point of packaging, to the product reaching the end user. 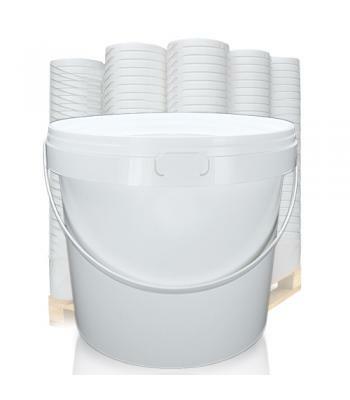 Our plastic food buckets range from 500ml up to 12 litres, with the 1 litre, 2.5 litre, 5 litre and 12 litre buckets having plastic handles, for ease of carrying. 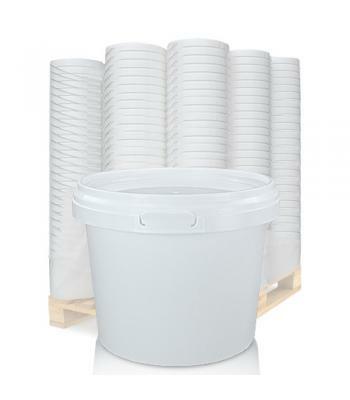 We also offer the option of a rectangular shaped 5 litre food bucket. All of our buckets have been manufactured by Europe's leading plastic packaging specialists, under strict quality control regulations. 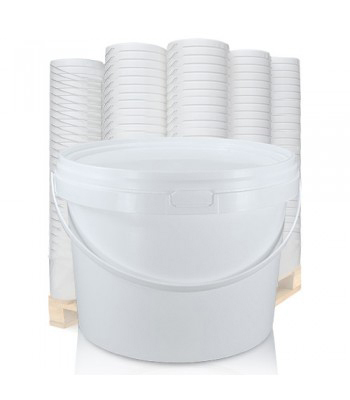 These robust buckets are dishwasher and microwave safe, as well as being stackable, to help save on storage space. 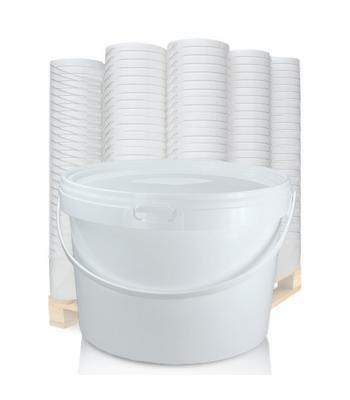 Our plastic food buckets are perfect for bulk food storage and catering supplies. They can be used for margarines, sandwich spreads and fillings, salads, pasta, potatoes, herbs and spices, confectionery, cooking ingredients and many other foods. 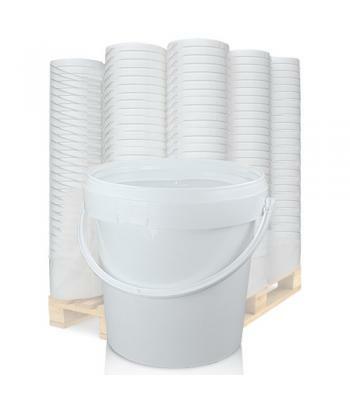 These buckets can also be used for animal feed and fishing bait.